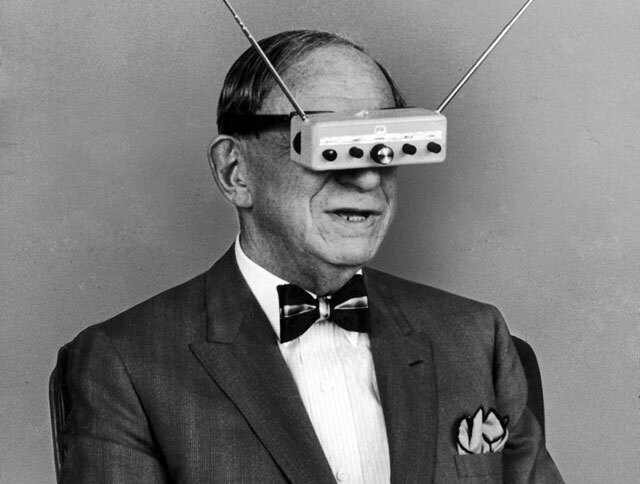 Hugo Gernsback: Father of Science Fiction? With Chicon-7 coming next month, I wanted to take a look at the man behind the main event: the Hugo Award ceremony. Over on Kirkus Reviews, I've got a brief history of Hugo Gernsback, often called 'The Father of Science Fiction'. While it's true that Gernsback coined the term science fiction, we've seen that he's not the founded of the genre as a whole. Rather, he's the founder of a modern strain of science fiction, and his influence persists to this day. Read Hugo Gernsback: To Great Heights And Down Again over on Kirkus Reviews. - American Inventors, Entrepreneurs and Business Visionaries, by Caharles W. Carey Jr.: This book compiles a number of profiles of people, including a good thumbnail of Gernsback’s life and accomplishments. - Men of Tomorrow: Geeks, Gangsters and the Birth of the Comic Book, by Gerard Jones: This book is a great look at the rise of the comic book industry in the United States. Gernsback makes a brief appearance here in a section devoted to the pulps, which helps to provide a bit of extra insight into his life and how he influenced others. - Hugo Gernsback and the Century of Science Fiction, by Gary Westfahl: This is an an academic book on the man and his influence: it provided some in depth information on Gernsback, but it is quite dense at points. - History of Science Fiction, by Adam Roberts: Roberts puts together a good profile and analysis of Gernsback’s contributions to the genre, highlighting not only his life, but how he affected the genre as a whole. - The Trillion Year Spree, by Brian Aldiss: Aldiss is less kind to Gernsback, providing an notably critical profile of the man and his contributions to the genre. - Wells, Verne, and Science, Alex Eisenstein, from Science Fiction Studies: This letter was a turning point in how I thought about this piece: rather than just looking at the contributions of Gernsback, it made me realize that the story is more about just how much he influenced the genre that we know and love. - INFOGRAPHIC: Everything You Need to Know about the Hugo Award: SF Signal’s Infographic covering the high points of the Hugos. - A Short History of the Hugo Awards Process: This page on the official Hugo Awards website is a good one to look into for year to year, and a general overview of the award.